199: Young valkyrie at the Met, NYC. 198: Geoff Ereth, Williamsburg, NY. After much hemming and hawing, I've finally decided to move this blog to my photography web address. 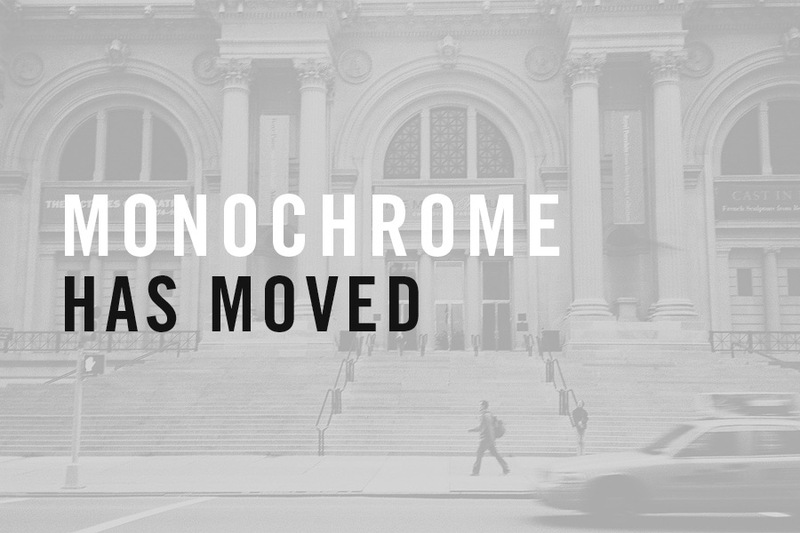 The new url is: www.fotokuo.com/monochrome/. You can click the image above to go there as well, and the links on the right direct to those pages at the new domain. It's something I've been thinking about for a while, and finally this weekend I made the time to do so. As I'm starting to separate my photography and design, I'm also thinking of redesigning the design site. All the old entries and comments have been exported to the new address, so nothing really has changed. I have made a few minor tweaks to the template and am now using the MT captcha, which is, for one, smaller than the old one). Hopefully it'll make commenting somewhat easier, and I encourage everyone to comment if the spirit so moves you. Please udpate your feeds and links. For those who are linking to entries, the urls remain the same for the most part; just replace the "226-design" domain with "fotokuo." I apologize for the inconvenience. And thanks for spending your time with me. Things might be in a little flux the next day or so while I make sure everything is working, but by Monday it should be all set. At that point, I'll be removing everything but this page from the 226 location. This page will remain as a pointer to the new site. In addition I'm thinking about starting a separate photography blog for iPhone images. That might be a nice blog to keep updated while travelling, since I generally don't develop or scan my negatives while on the road. Stay tuned for those developments. Comments (0) | TrackBacks (0) | Feed | Posted 18 Jul 2009 | Design + Photography © Eugene Kuo.